Although there are many challenges ahead for successful implementation of the Iran nuclear deal reached on July 14, it is not too soon to contemplate some of the wider effects of that agreement. At the top of the list should be the opportunity it affords to make adjustments to the shape of U.S. ballistic missile defense programs, adapting program content to the evolving threat. 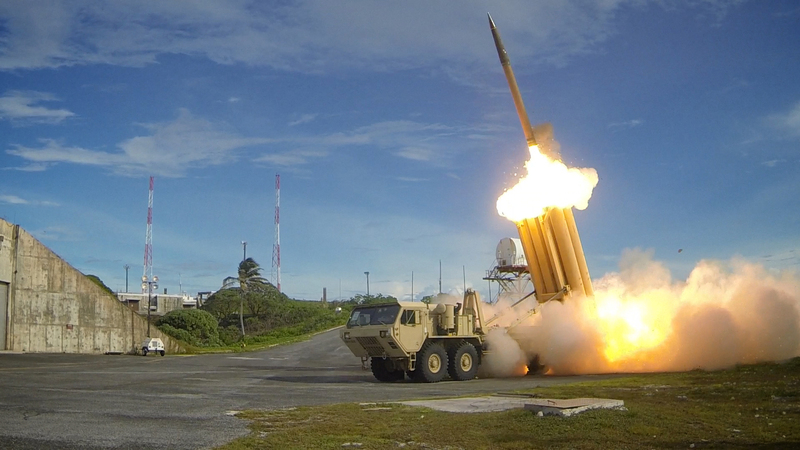 For more than a decade, U.S. missile defense efforts have been driven by the threats from existing and future North Korean and Iranian ballistic missiles. Now, the July 14 Joint Comprehensive Plan of Action (JCPOA) and the July 20 UN Security Council Resolution 2231 promise to significantly forestall the prospect of nuclear-tipped Iranian missiles. Instead of anticipating Iran will have sufficient fissile material for a nuclear warhead in a matter of months as Israeli Prime Minister Netanyahu warned Congress in the fall of 2012, or seeing Iran possibly conduct its first intercontinental ballistic missile (ICBM) test-flight by 2015 as the U.S. intelligence community predicted for many years, the Iranian ballistic missile threat is now starting to look much different. Although Iran has dozens of launchers for its 2,000 km-range ballistic missiles that can strike Israel, there has not been a single flight-test of these medium-range missiles in three years. The marked slow-down in missile flight activity has consequences for the readiness and reliability of those existing Iranian systems, which could target Israel or the southeastern corner of NATO. It also has implications for the timetable of Tehran’s options for developing new systems, which could threaten Europe and North America. Iran may still have hundreds of ballistic missiles, but they are shorter- or medium-range systems, with no ability to reach targets far beyond Iran’s borders. These weapons are of understandable concern to Iran’s immediate neighbors, to U.S. warships operating in the Persian Gulf, and to our partner Israel. But they cannot target the heart of NATO Europe or North America. Armed with conventional warheads and relatively inaccurate, Iran’s ballistic missiles have limited lethality against point targets. They can inflict pain and suffering on civilians, as happened in the “War of the Cities” during the eight-year conflict between Iraq and Iran, but they are not decisive militarily and they do not constitute an existential threat to any nation. Furthermore, their military effectiveness in the Middle East is being further diminished by the proliferation of tactical and regional missile defenses in Israel and the Gulf states. Iran has never tested an intermediate- or intercontinental-range system; nor has it asserted a need to do so. Moreover, there has been no flight of the Simorgh space-launch vehicle, which was seen by some as a technological stalking horse for developing a longer-range military system. Significantly, U.S. Defense Secretary Ash Carter said in congressional testimony on July 29: “I wouldn’t rule out that in ten years, Iran could progress to an ICBM.” This response, in combination with the international restrictions being imposed on Iran’s nuclear program, suggests that Iran is unlikely to have a nuclear warhead that could reach the U.S. mainland (9,000 kilometers away) for a long time. It therefore behooves the United States to re-examine its previous assumptions about the extent and timetable of the Iranian ballistic missile threat and adjust its missile defense programs accordingly. The European Phased Adaptive Approach (EPAA) for U.S. missile defense deployments has always been intended to defend against a ballistic missile threat originating from the Middle East. The increasingly capable interceptors (SM-3 Block IIA and SM-3 Block IIB) to be deployed in the latter two of the original four phases were to be directed against intermediate-range (3,000-5,500 kilometers) and inter-continental-range (over 5,500 kilometers) missiles as the anticipated threat increased. Plans to deploy Phase IV interceptors in Poland were cancelled in March 2013 in response to evolving threat assessments. It would now be appropriate to suspend the deployment of Phase III interceptors to Poland as well, currently scheduled for 2018. There are certainly less provocative ways to reassure Poland about the U.S. commitment to its defense than to confirm Moscow’s suspicions that Russia has been the “real target” of U.S. missile defense deployments all along. For three years, the House of Representatives has been seeking to authorize a strategic missile defense site for the East Coast of the United States to defend against an Iranian ICBM. Although the Defense Department said that the GMD interceptors in Alaska and California, which will increase to 44 by 2017, would be able to cope with such a threat, the Pentagon has been directed to study additional basing options that would be optimized to intercept Iranian ICBMs. It is currently engaged in a two-year environmental impact study, short-listing four different sites. If built, the designated site would cost $3.5 billion, according to Congressional Budget Office estimates. But if the Pentagon has not been able to identify a military requirement for the site prior to the Iran nuclear deal when a theoretical Iranian ICBM still lurked on the horizon, there is obviously even less need as that threat recedes further into the distance. The usual response of missile defense advocates in the face of a declining threat estimate is to argue that it’s always best to stay ahead of threats. This logic might make sense in a world of infinite resources, and one in which responding to exaggerated threats did not pose opportunity costs and deliver collateral damages. But that is not the world we inhabit. The George W. Bush administration rushed to deploy GMD interceptors into Alaska in 2004 to deal with a supposedly imminent capability – one which has yet to materialize in the form of a deployed weapon. In the process, it deployed interceptors in inadequately tested silos, which then had to be replaced at substantial cost. Suspending normal Pentagon procurement procedures to accelerate the interceptor deployments, it used a process of “spiral development,” which has proven inadequate to the technological challenge of building a reliable system, requiring expensive additional testing and backfitting. The Missile Defense Agency is only now moving toward a more rigorous testing program, which is by its nature very expensive —around $200 million per launch. Choosing to abandon the Anti-Ballistic Missile Treaty in 2002 instead of seeking to amend it — a policy decision opposed nearly unanimously by the international community — has burdened U.S. pursuit of further reductions in strategic offensive forces. Moscow cites unconstrained U.S. strategic missile defenses in general (and the EPAA in particular) as a major impediment to taking additional steps in nuclear arms control. It has also encumbered efforts to include China in the strategic arms reduction process, contributing instead to Beijing’s destabilizing decision to deploy multiple warheads on some of its ICBMs. With an estimated $350 billion price-tag for U.S. nuclear modernization over the next decade and the “acquisition-based strategy [for U.S. missile defenses] unsustainable in the current fiscal environment,” according to the Army and Navy Chiefs’ memorandum to then-Defense Secretary Hagel late last year, there is little doubt of the need to save defense dollars wherever possible and in whatever amount. All of this argues for taking a cold, hard look at the significantly altered threat picture regarding Iranian ballistic missiles today – and then considering how best to exploit the enhanced prospects for containing that threat in coming years as a result of the Iran nuclear deal reached last month in Vienna. Adapting missile defenses to the new reality is one way to further maximize the ample benefits already accruing from the agreement itself.